The Bank of America Chicago Marathon delivered a quarter of a billion dollars to the city for the second year in a row, according to an independent study. The event was able to bring $102.2 million to the city in 2014 through tourism, according to the study conducted by the University of Illinois at Urbana-Champaign’s Regional Economics Applications Laboratory. People visiting the city spent money on travel, lodging, entertainment and transportation. Additionally, another $151.8 million was spent on indirect activity. The money generated by the marathon is equivalent to 1,816 jobs and $86 million worth of wages and salary income, according to the survey. "The race is a solid example of how high-­profile events contribute significantly towards Mayor Emanuel’s goals for Chicago’s visitor industry,” said Desiree Rogers, chair of Choose Chicago’s board of directors. 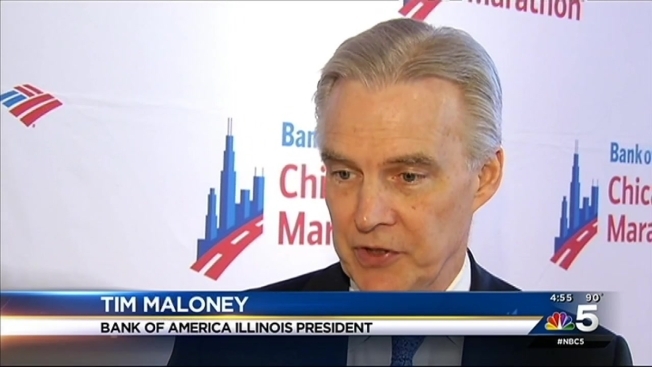 “The Bank of America Chicago Marathon’s continued upward trend in overall visitors and spending strongly supports the goal of welcoming 55 million annual visitors by 2020." The marathon is also the largest running event in the world to be certified as sustainable.